Louis Archambault represents foreign and domestic buyers, sellers, developers, investors and lenders throughout the United States in real estate transactions, particularly in the South Florida market. Drawing on 20 years of experience as a real estate attorney, Louis assists these clients with an array of deals, including acquisitions, sales, and financings involving residential, commercial and industrial properties. 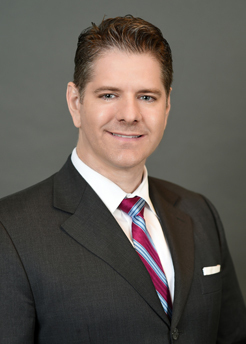 He particularly represents parties in development and redevelopment projects, including those involving condominiums, distressed properties, and opportunity zones and related opportunity funding. His condominium practice includes drafting and advising on condo projects or conversions. Louis also assists with commercial leasing and land use and zoning issues. The depth of Louis' understanding of issues affecting the real estate industry is reflected in his certification by the Florida Bar as having special knowledge, skills and proficiency in the area of real estate law. Louis has also served as an expert witness in court cases involving condominium document drafting and real estate closing procedures. Louis has a deep interest in the impact of technology on the real estate industry, particularly for developers and other industry players. He started a study group within the Firm on these issues and regularly speaks about this topic to real estate industry groups. Among these topics are the role of technology in disrupting construction, development and operations and the roles driverless (ACES) technology, 3D printing, BIM (Building Information Modeling), IoT/Blockchain/smart cities and advancements in building materials have on the real estate industry. A bank negotiating a revolving construction credit facility to support the borrower’s construction of multiple national fast food chain restaurant locations. Each restaurant, when constructed, would be spun off into its own individual mortgage financing, which added to the complexity of the transaction. A development group in its purchase and lease back of a university campus. A development group in its acquisition of waterfront parcels and submerged lands from an owner still operating a business on adjacent property. The transaction also involved negotiating and drafting a declaration of covenants, transferrable development rights, shared access easements and other terms related to the abutment of the properties for the eventual development of the purchased property. An industrial REIT in negotiating and drafting an extended ground lease with a municipality for multi-parcel industrial development adjacent to the municipality’s executive airport. A development company in the establishment of a residential apartment complex as a condominium, to accommodate the sale of space for retail tenants. The work included drafting a declaration of covenants and other condo-related documents. Condominium project developers in drafting amendments and other condo-related documents for three major residential projects. An independent day school in its anticipated expansion, including amending the ground lease for its campus and negotiating financing for the expansion.